Meet New Gallery Features & Updates! Gallery plugin is a highly functional solution which allows organizing your images content simply but aesthetically. We’ve added some changes in order to optimize plugin’s work and make it handier, so the last update includes a lot of new options. Need additional styles? Add them via custom code tab and don’t lose the result after updates. After that, configure settings as you want, and save changes. These settings will be applied to the edited gallery only. For more convenience, cover settings are gathered in a separate tab now. 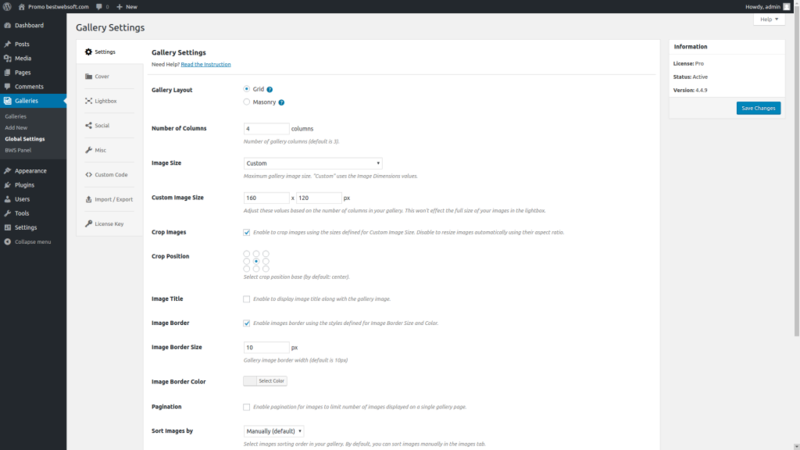 Manage your images in the easiest way and create amazing galleries for your website!